Now here is the very heart of Croatian 'fast food'. 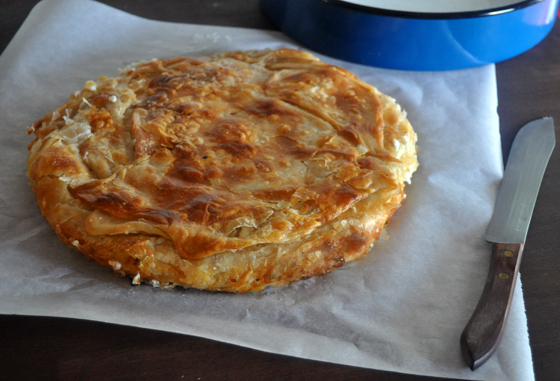 Along with ćevapi it must be one of the most popular snacks you can get on the streets of Croatia. Snack being not very realistic term for it since this puppy will make you full, breakfast, lunch or dinner. Please, if you ever get it, try it with our plain yogurt drink. 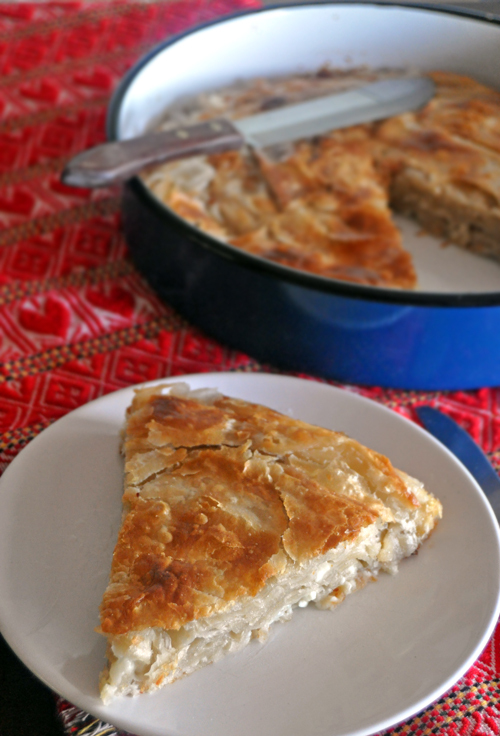 It's just one of those combos that is incredible and made for each other, both in cheese or meat version of burek. 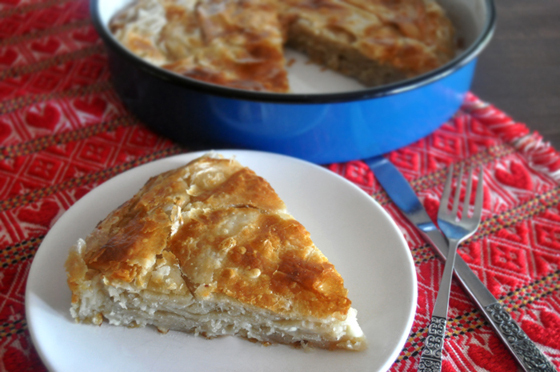 I've made plenty of versions of burek in my life, but today I am sharing my favorite that I discovered this past Fall on the Palachinka blog. 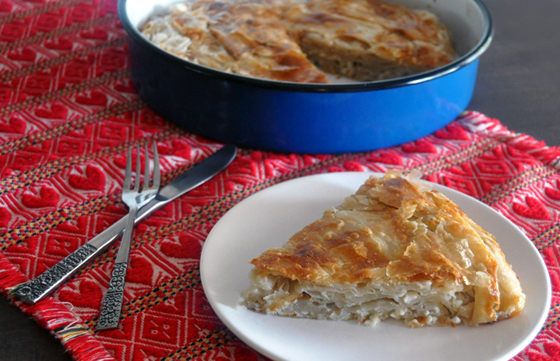 I am very grateful for it because it is the closest to the real thing that I found, and I do miss this dish a ton. I am not going to mess with a good thing but just share her recipe mostly as she wrote it. Make a soft dough out of 2 and 1/4 cups sifted flour, 1 tsp of salt and water. About a cup to cup and a half of water is enough. 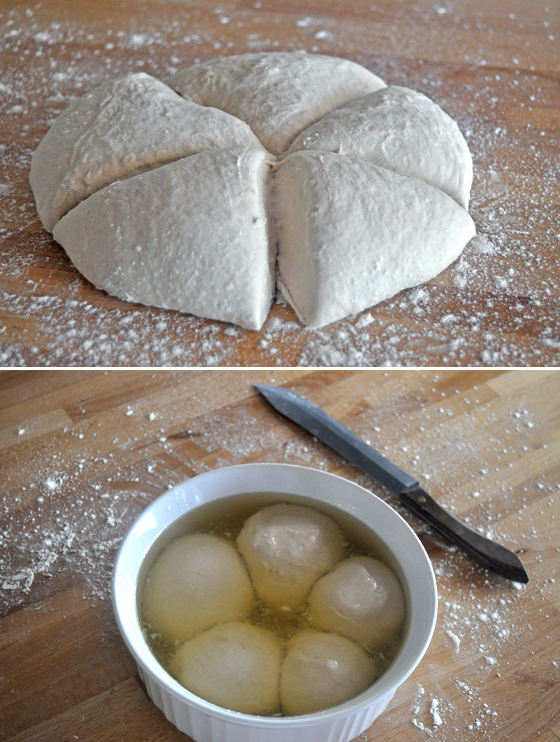 Divide the dough into 5 equal balls. Flatten each ball into 6" diameter circle and soak in a mixture of equal parts of oil and melted pork fat if you are lucky enough to have it. I didn't, so I used vegetable shortening. You need about a cup each when melted. Leave it like that for about half an hour. 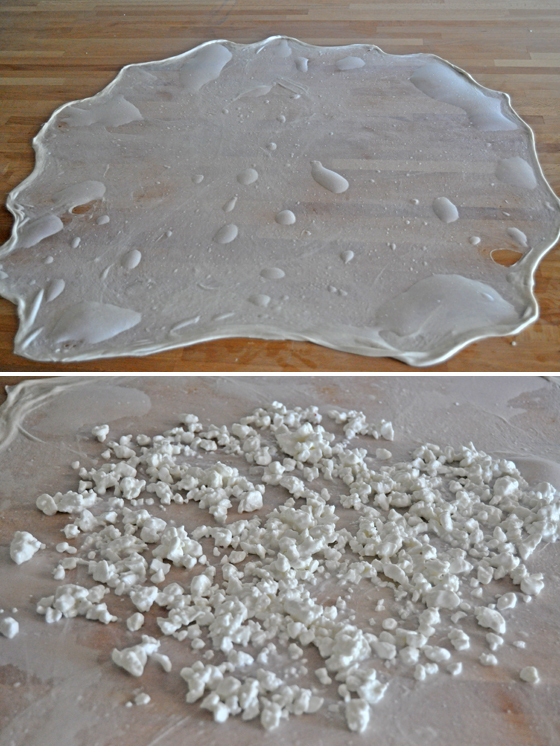 Take one piece of dough out of the fat, put directly onto a table and flatten with your hands as much as you can. Than, start pulling it gently just like when making a strudel. 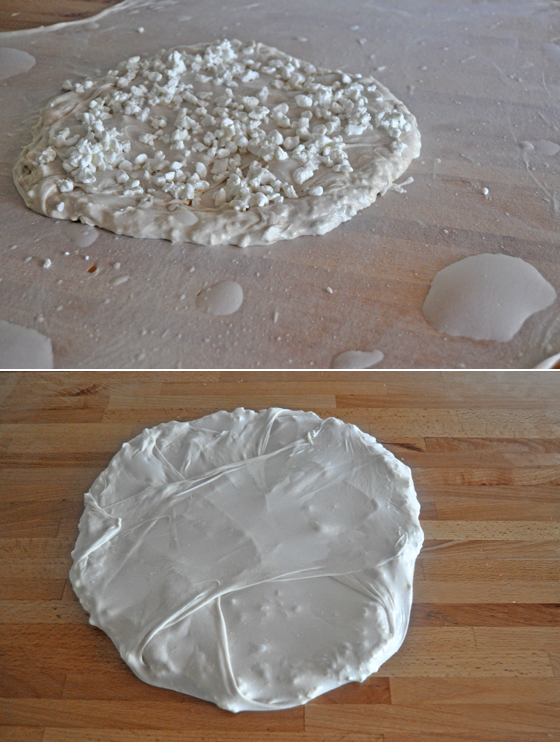 Spread some cottage cheese over the middle of the stretched dough. Lots of it. And before you spread the cheese over the dough, squash it with a fork. My cottage cheese was pretty watery so I drained it well first. Fold dough over the cheese to nicely wrap it up. 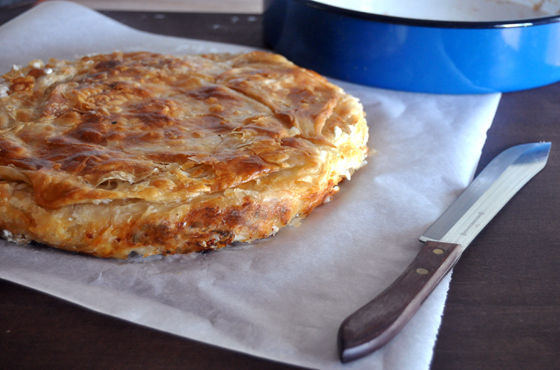 But cut away the thick dough around the edges with scissors. 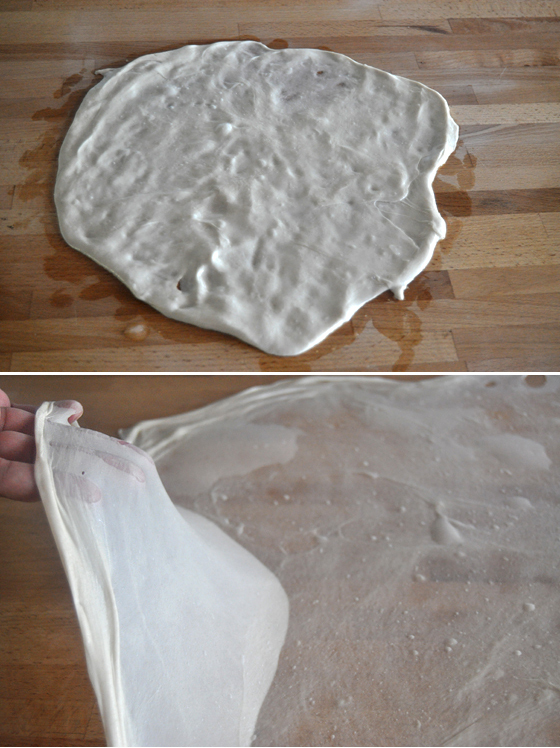 Transfer gently to a large plate while you flatten another piece of dough that you take from the fat. 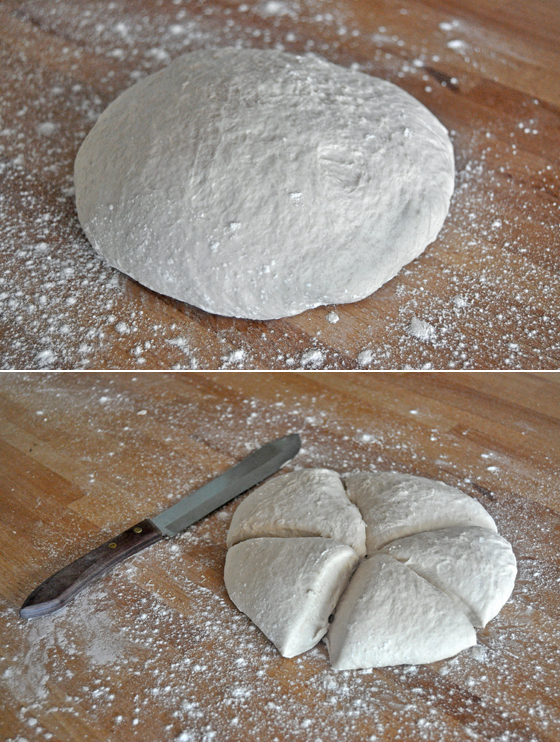 After you flatten the second piece of dough, and spread cheese over, place the previous packed dough over the cheese. Just make sure that the side that was touching a table now goes on top. Wrap again, and continue with the rest of the dough pieces. Now, mine really didn't turn out as nicely as hers, specially in step by step pictures prior to baking. I had some trouble transferring packed and wrapped pieces of dough on top of the other, but realized that who cares? You can't tell really in the end product so it's totally awesome and not worth stressing over since it all bakes together good. Bake in a preheated oven on 200°C until golden on top. Thanks for the recipe! how long approximately does this take to bake?